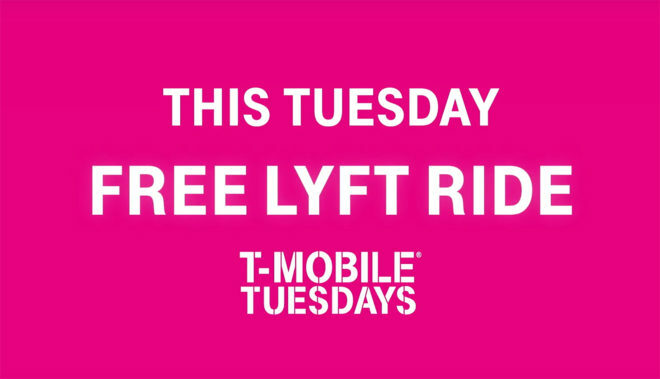 Free tacos aren’t the only gift coming to T-Mobile Tuesdays. This Tuesday, February 5, T-Mobile customers can get a free $10 ride from Lyft. You’ll need to redeem the offer on Tuesday, but you can save the code and apply it to a Lyft ride any time in February. Lyft has appeared in T-Mobile Tuesdays a few times in the past with offers like $15 to spend on a ride on New Year’s Eve and a free Lyft ride worth up to $15 through that Thursday when Lyft was swapped in for Domino’s. This latest Lyft offer isn’t worth quite as much as some that we’ve seen in the past, but it is flexible, letting you use it any time during the month of February. So which of the two T-Mobile Tuesday deals announced today are you more excited for? Free Taco Bell or a free Lyft ride? I’m not one to complain about free stuff but John has to stop hyping stuff that makes no meaningful difference to anyone’s life! Sounds a lot like complaining. $10 lyft credit and you’re ungrateful. nice. Yes. Hype $10 Lyft credits and free tacos with lots of strings attached and I’m not grateful…based on the feedback on Twitter and Facebook I’m not alone. Then you walk home. I think it’s wiser to save the Lyft for the ride back from and not the ride to Taco Bell. toobad they don’t have a free portapotty on tuesday. Then you’d need the lyft ride to go pick up the toilet. John needs a reality check. May be better to focus on timely and transparent updates instead of tacos, just my two cents when TMo can’t even provide a reasonable timeline on the Android Pie update while all other carriers have started their s9/s9+ releases. Is your phone going to blow up or stop working because someone got a slice of Pie before you did? Did our phones have the equivalent of the Rapture happen and no more phones. anywhere? no? then stop whining… let the other carriers do it, then when/if there are issues, we aren’t plagued with it. Thank you for that overly enlightening comment, Francisco. We’re all made better as a result. Glad.. now you can stop you whining. Can’t stop whining. If I stop whining, then I risk losing quality, overly enlightening comments from trolls like you. And that’s just not a risk that I’m willing to take in a world like this. I loved these commercials. Won’t use Lyft, but the commercial was hillarious.